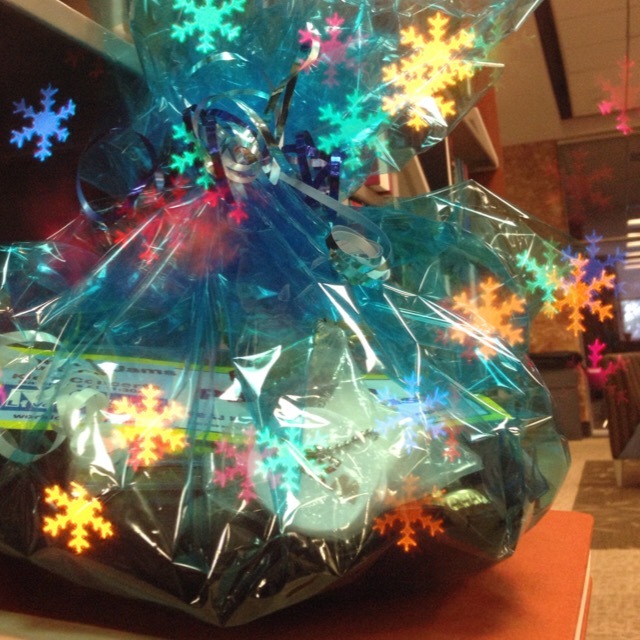 Falvey Memorial Library :: Don't Miss Your Chance to Win Falvey's Musical Basket at the Holiday Bazaar! Don't Miss Your Chance to Win Falvey's Musical Basket at the Holiday Bazaar! Falvey Memorial Library will once again participate with dozens of other campus organizations in the Office of Health Promotion’s basket fund raiser at the annual Holiday Bazaar, which will take place tomorrow and Friday from 10:00 am to 6:00 pm in Villanova Room in the Connelly Center. Each year, bazaar attendees line up to buy raffle tickets to win their choice of a wide array of creative, specialty gifts, each custom themed and donated by generous Villanovans, ranging from Villanova Wildcat goodies, to gourmet foods and gifts, to tickets for fun family events. This year, proceeds will benefit the Ronald McDonald House in Philadelphia, which provides families of seriously ill children needing medical treatment in Philadelphia with housing, hospitality and hope. Falvey’s basket theme this year will be For Music Lovers Only. The winner of the library’s basket (crafted from a recycled vinyl record from the Falvey collection!) will find four tickets to World Café Live’s Peanut Butter and Jams Children’s Concert series, five WXPN World Café Live CDs, an iTunes gift card, Sony ear-buds, and artisan-made musical tchotkes from Ten Thousand Villages and more! Don’t miss your chance to win!